a trend that i just can't get over. need lucite in my life. 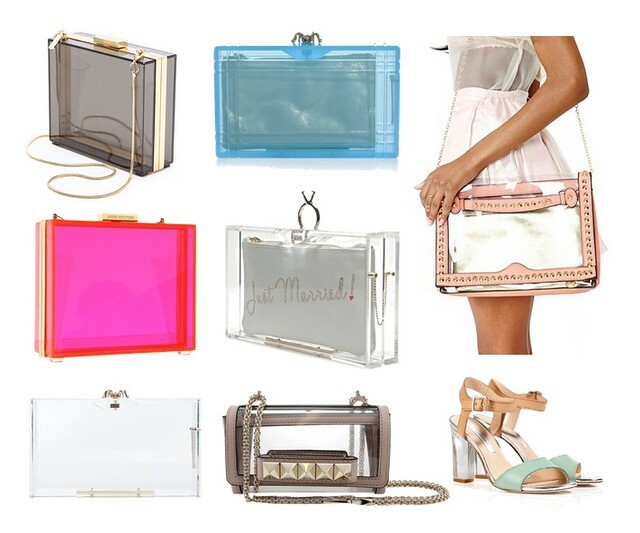 lucite clutches, pop of neon and flower power accents. i'm still lovin em all! what's a trend that you're stuck on?! DO SHARE. I'm in love with these little gems too! I got the clear version from Zara for $35.00. I can't get myself to spend too much on them since I'm afraid that an accidental drop on the floor would break it leading to an unhappy lady! Go to www.shoplunab.com to shop for some. That's where I found mine!